26 million for a facilities bond fund to enable programs to expand and reach more children. The Early Childhood Education and Assistance Program (ECEAP) is Washington’s nationally regarded pre-k program serving at-risk three and four year olds and their families. ECEAP provides children in 36 counties with education, health services, family support, and parent engagement. 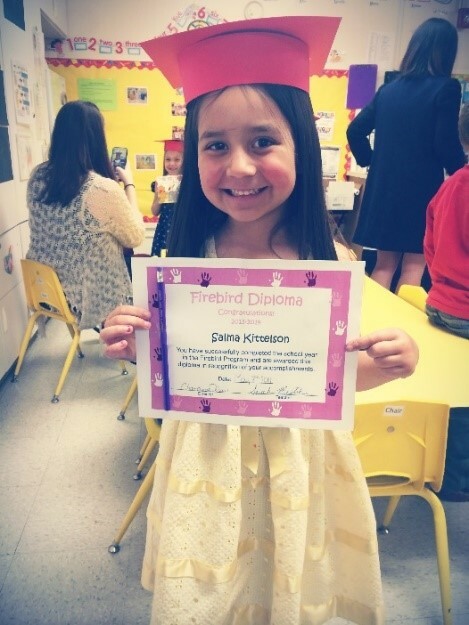 ECEAP’s whole-child approach - a high quality classroom with individualized learning plans, attention to the health of the child, and fully engaging the family, ensures that the child is supported and gains are sustained. In 2015-2016 ECEAP was funded for 11,691 children in three different models – part-day, full school-day, and extended full day/full year for working parents. There are over 23,000 children eligible but unserved, and DEL expects that 7400 will want to attend ECEAP. In 2014, the state legislature asked the Washington State Institute for Public Policy (WSIPP) to conduct an analysis of the ECEAP program, looking back to 2003-4. The study compared 3rd, 4th, and 5th grade test scores from children who had attended ECEAP to those of similar children who had not. The results were impressive and sustained. The study concluded that ‘children who attended ECEAP had significantly higher math and reading scores in 3rd, 4th and 5th grades compared to children who did not attend the program”. And the ‘effect sizes’ are as good or better than some of the top full-day state programs in the country, like Abbott Pre-k in New Jersey. This translates into 7% more children passing the 5th grade reading test and 6% more children passing the 5th grade math test. Making sure kids and families are school-ready is ECEAP’s primary objective, and the data shows that programs are achieving that goal. ECEAP’s end of year results show the impressive short-term results of this high quality program, and the WSIPP study shows that they last. 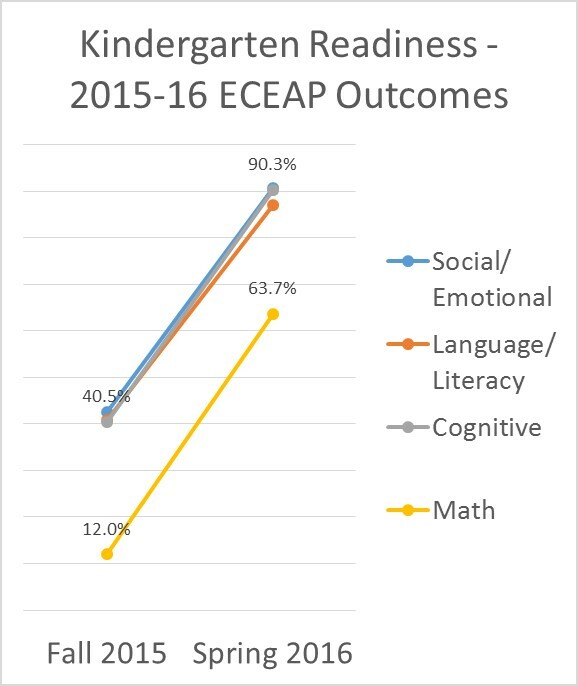 The 2015-16 ECEAP Outcomes Report found that children made incredible progress during the school year in the key areas in which ECEAP children are evaluated: health outcomes, social-emotional development, and learning outcomes. ECEAP serves Washington’s children who are at the highest risk for school failure, children who have little chance of catching up once they arrive in kindergarten. Two thirds of ECEAP children have a family income less than 80% of FPL. Ten percent have an identified disability, 11% were homeless, 33% speak English as a second language, and 37% had parents without either a high school diploma or GED. Studies show that the single most effective method for closing the opportunity gap is high quality early learning, and ECEAP is a key part of that strategy here in Washington. Though 45% of WA’s 0-5 year olds are nonwhite, 69% of the ECEAP population are children of color. DEL data shows that ECEAP eliminates the race/ethnicity gap for the vast majority of kids during the ECEAP year. Studies show that English language learners benefit even more dramatically from high quality pre-k than other children.